Welcome to the first newsletter of SeaLink Capital Partners. 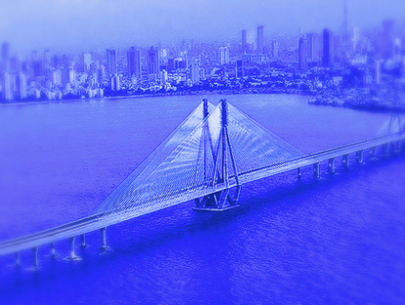 SeaLink Capital Partners (SCP) launched in Q4 2014, with a strong belief in the underlying strength of the Indian economy and the growth potential of small and mid-sized businesses in India. We have engaged in several in-depth discussions with the management of mid sized Indian businesses (USD 25 million - 125 million in revenue) across a variety of industry sectors and have been extremely impressed with the talent, ideas, commitment and potential of these companies. Through a proprietary network, we have access to many high quality promoters, who have strong personal credibility and have built their businesses with entrepreneurial spirit and grit. Amidst a landscape of geopolitical uncertainty, India stands out as one emerging market economy with positive momentum. The majority led government along with a highly credible and reform-oriented central bank governor have inspired confidence among domestic and foreign investors. A recent survey by Grant Thornton indicated that 98% of corporate India is optimistic about their economy, as opposed to the global average of just 41%. A number of positive indicators have led to the renewed momentum. Inflation which had been stubbornly high for a few years has come down, supported in part by the fall in global oil prices and has enabled the Reserve Bank of India to cut interest rates for the first time in 20 months. Key head of state level discussions with the US, Japan, China and Australia in the last six months have cleared the way for strong investments into India. The Indian rupee has strengthened against nearly all major currencies in the year to date and is expected to remain stable or even appreciate on the back of increased capital inflows and improved current account. All eyes are now on the Union Budget, which will be announced on February 28 with the expectation that the Modi government will deliver an investor friendly and reform oriented budget. There is no shortage of entrepreneurial ambition and potential in India. Small and mid sized businesses flourish in several parts of the country addressing consumer needs and demands. There are close to 12,000 mid market companies (between USD 25 – 125 million of revenue) in India, and they are the growth engines of the economy - filling crucial need gaps in various industries and geographies. For many of these mid sized companies, the key difference between being good and being great is access to talent, mentorship and capital. And these are the crucial needs that we at SCP hope to be able to bridge. We’ve been building a Council of Experts as part of the SCP ecosystem to actively participate in value creation opportunities with prospective portfolio companies. The approach for SCP is to go beyond “financial investment” through a well-defined and demonstrated operational value add approach, enhanced strategic focus and emphasis on corporate governance. Our Council members bring in expertise in a variety of industries (e.g., consumer products, healthcare, IT services) and functions (e.g., organization development, sales and marketing, operational effectiveness). We had the opportunity to meet with some of you at the IVCA conference in Delhi in January. In March we will be at VC Circle Forum in Chennai and at the Harvard India Conference in Boston. In case you will be at either of those conferences, we would be happy to catch up and tell you more about how things are going at SeaLink Capital Partners. Extending our mentorship model beyond just the entrepreneurs we invest in and into the SCP office, we successfully piloted our Fellowship program this quarter. Zac Corker, SCP's first Fellow, has just returned to the MBA program at MIT's Sloan School of Management. We look forward to welcoming two new Fellows in the spring and summer.